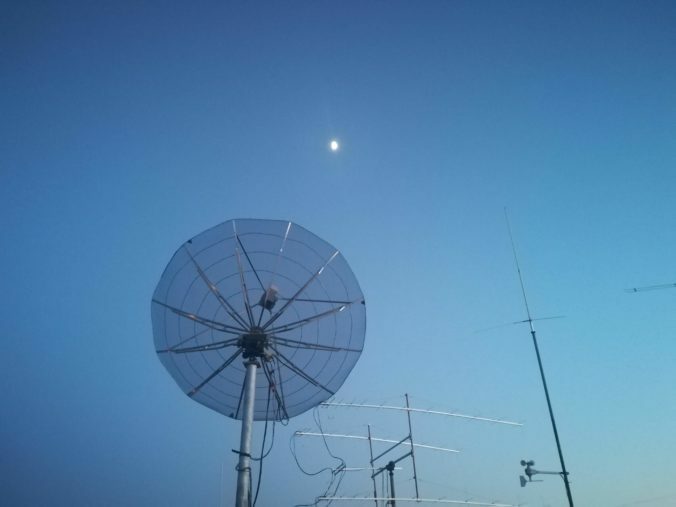 3 m dish aimed towards Luna for the VK3UM Memorial EME contest. Since we got our 23 cm EME setup operative a short while ago, we have been very fascinated with the moon. Recently we made a bunch of QSOs, and have been eager to make even more. 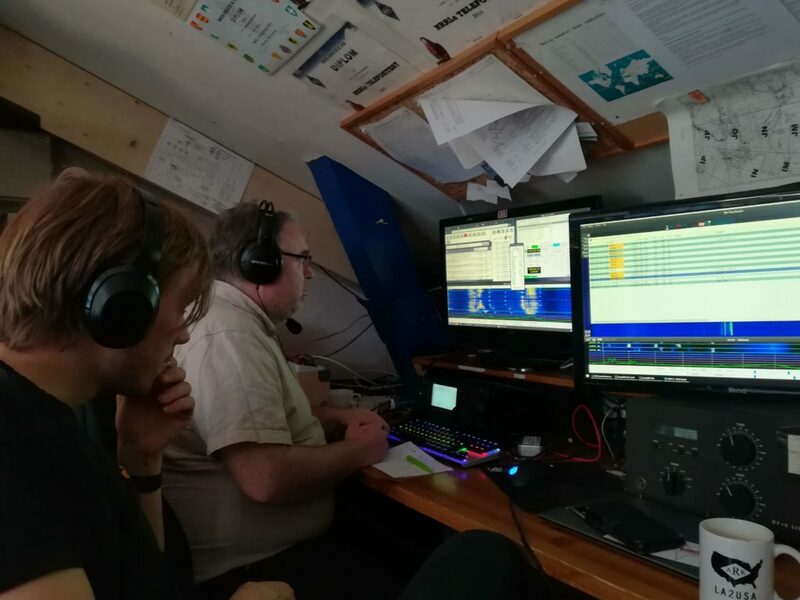 We were very excited when we found that the weekend of 13-14 April was home to the VK3UM Memorial EME Contest, a CW/SSB EME contest for the 23 cm band. Up to this point we had only worked JT65C QSOs with our setup, so we were a little skeptical – but eager to try. Jens (LB6RH) and Magne (LA1BFA) concentrating deeply to decipher moonbounced morse code. With a 3 m dish and 100 W at the feed, we have an Effective Isotropic Radiated Power of approximately 100 kW. In a world where the big guns have 1 to 10 MW or more, it was suprising to learn that we only qualify as a QRP station. This first entry in the VK3UM Memorial has inspired us by showing that CW EME on 23 cm is so readily available. Seeing the big stations work QSO upon QSO also begets a desire for a more QRO amplifier. Perhaps we will need to design something that accompanies the newly increased legal limit (1000 W)… We will definitely be back next year!